Archaeological Museum: The Archaeological Museum of Lefkada is housed in the newly-constructed building of the Cultural Centre in Lefkada Town. Its four rooms cover a large chronological period, from the Paleolithic times till the late Roman years. In the first room, there are exhibits depicting life from the public and private life of the islanders in the historical times. Phonographs Museum:The private museum of phonographs is placed in the main square of Lefkada town, close to the old city. It was founded in 1980 by a private collector and contains some very interesting items including models of old phonographs, gramophones and radios. 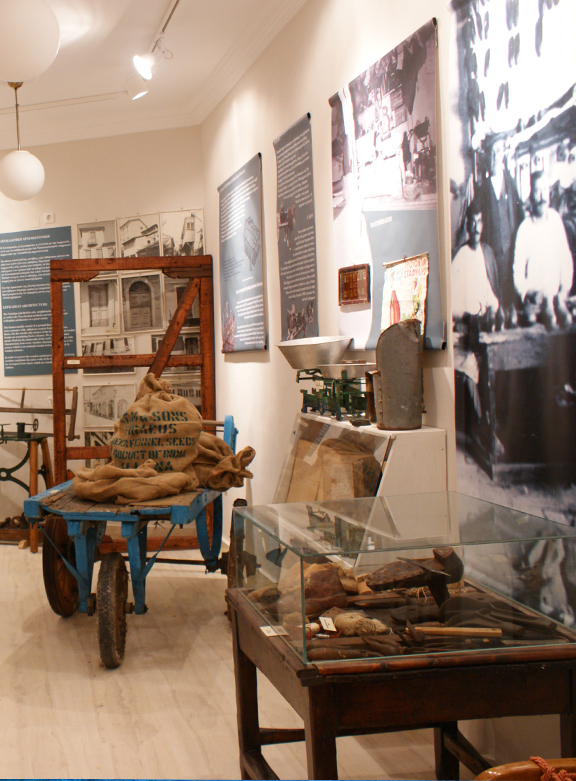 The museum also houses many decorative items, from which some musical instruments stand out, apart from old newspapers, old postcards, guns, swords, pieces of jewellery and coins, which generally date from 1880 to 1950. The Ecclisiastic Museum of Faneromeni Monastery in Lefkada: The Ecclesiastic Museum of the Faneromeni Convent is ideally located on the outskirts of the village of Fryni, which is at 4 Km from the picturesque town of Lefkada. The majestic museum of Ecclesiastic Art showcases objects of art collected from the many temples and convents of Lefkada island spanning a period from the second Turkish occupation (1479-1684) to the time of the islands amalgamation with mainland Greece in the year 1864. The museum is housed in an elegant two story edifice ideally located on the grounds of the Holy Convent and has designer rooms exclusively meant for the display of a plethora of objects of ecclesiastical art. The majority of the exhibits consists of rare paintings of renowned Eptanese and Lefkadite artists of the post Byzantine period. Objects of the museum include icons and pieces of chancel screens like magisterial icons, epistyles and exquisite door panels. Of special significance is the plethora of ecclesiastical manuscripts and antique prints that once belonged to the convents library. The museum is replete with outstanding publications by Greek and foreign printers who belonged to the pro-revolution and the revolution years. Mention must be made of the exquisite silver works consisting primarily of crosses, candelabra, grails, trays, icon frames as well as gospel covers. The museum also takes prides in its numerous canonicals and cloths dating back to the 18th century.